Kubera is the god of wealth and son of Sage Vishrava who is the son of Lord Brahma. 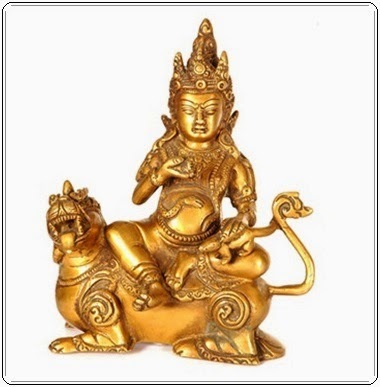 Kubera is widely known as the gods appointed guardian of the treasures of the gods and the nine special treasures of indefinite significance. But he is also the King of Yakshas and one of the Ashta-Dikpalas, representing the north direction.As the God of wealth and material, his responsibilities are to distribute them while creating wealth is with Goddess Lakshmi. Worshiping Goddess Lakshmi and Kubera together brings prosperity to the devotee by drawing new avenues and sources of income. Chanting this mantras 108 times daily is said to attract Wealth and prosperity. For more on this wealth God visit my HubPages Article.